Cutting costs doesn’t have to mean compromising. The right technology should help you do the things you already do better, while also saving you time. Inspections provide a perfect example. In fact, today’s property inspection software makes you wonder how you ever handled inspections before. With a property inspection app and a cell phone, iPad or laptop, you have everything you need to get the job done far faster and more accurately, without a trip back to the office to re-enter all the information you gleaned at the property. You can easily customize the mobile app with checklists and fields that fit the unique inspection criteria for each of your properties. When it’s time for a move-in or move-out inspection, you simply progress methodically through the checklist. There’s no opportunity for oversights, so not only are you saving time, you’re reducing the possibilities for errors. And the system enforces consistency, an important consideration for property management companies with multiple people performing inspections. “Rogue” inspection standards are a thing of the past. Thorough property management inspections help you make repairs before they become emergencies. The real beauty is that as you’re working your way through the property management inspection checklist, you can take supporting photos and videos, as well as add notes, and append them to the inspection items. In one place you have a complete record of the inspection, ready to report; no more patching together inspection reports and overlooking important details. Compare this to the clipboard approach. You end up with a written checklist and handwritten notes, along with photos or videos taken with either your cell phone or digital camera. The photos aren’t even associated to the items in the checklist. It’s up to you to go back to the office and put everything together in a report: not only time-consuming, but full of opportunities to overlook or forget something. One of the most surprising and rewarding results of using a cutting-edge mobile inspection solution is the reduction of misunderstandings that can lead to trouble between tenants and management companies, and between management companies and owners. If you’re like most property managers, one of your least favorite tasks is dealing with damage or maintenance problems where there isn’t agreement about who’s responsible. The fine details you begin to capture with a mobile solution, since it’s so fast and easy to include them, resolve a lot of issues that otherwise might turn into trouble. Among other things, you’ll be more likely to include and compare “before and after” photographs and notes that can bring a heated discussion with a tenant to a fast close. As a side benefit, you can often head off potential maintenance problems. A water stain on a ceiling that wasn’t there in the “before” might indicate a recent leak that can be addressed in advance of its becoming a big problem. Owners love the new mobile inspection reports because they’re so complete and informative, allowing them to keep up with every detail of their assets and get a heads-up about potential maintenance issues. Owners don’t like surprises, and detailed reports documented at the site, with photos and notes attached to each item, are a huge selling point in getting and keeping new owner/clients. There are plenty of incidental reports of property management companies using their mobile inspection solution as the key element in winning new business. They’re a differentiator that’s clear for owners to see, and clearly superior to what they might have seen from competing property management companies. 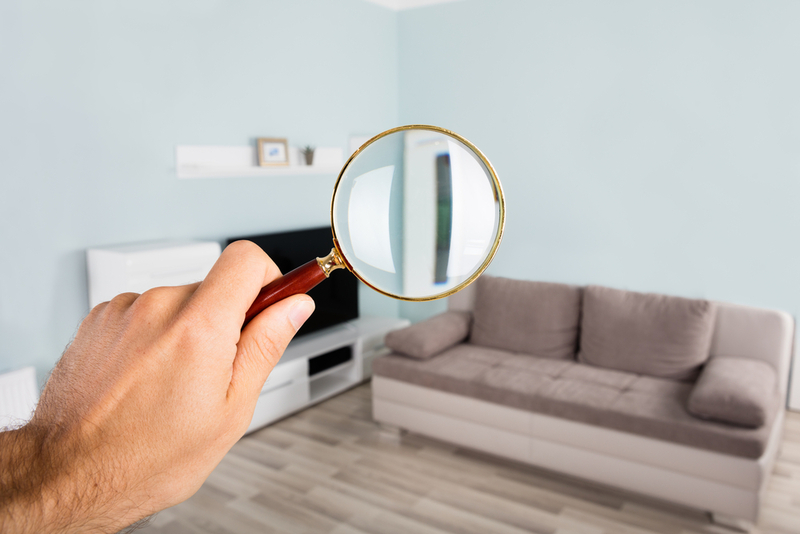 Smart property management software is paying off in nearly every nook and cranny of our business, but it would be hard to find one more dramatic than the task of inspections. Learn more about the payoff of rental property inspection software today!